Popular event includes unique artisanal gifts; helps raise funds for food bank. The Revelstoke Visual Arts Centre's annual Christmas Shop includes artisanal works in various mediums and styles. You can check it out starting this Friday, Nov. 30. Photo: RVAC. The Revelstoke Visual Arts Centre’s popular Christmas Shop kicks off this Friday. This year, the well anticipated annual event features various works by 35 RVAC members. The Christmas Shop features unique, one-of-a-kind items and artisanal gifts in various mediums and styles including: original acrylic and watercolour paintings, mixed-media, encaustic, pottery, jewelry, woodwork, illustrations, prints, cards, iron work, soapstone sculptures, calendars, textiles and more. 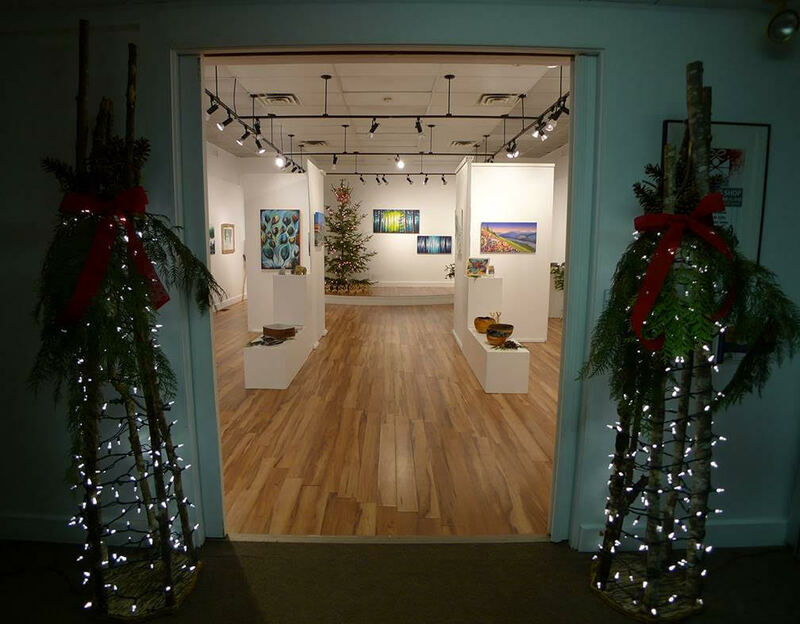 The Christmas Shop features various works by 35 Revelstoke Visual Arts Society members. Photo: RVAC. “I am always impressed with the talent we have in our community. I love that we offer this exhibit to welcome all varieties and interests so that we can show support for our local artisans and share their unique creations. The Christmas Shop showcases the true talent we have right here in Revelstoke, for everyone to enjoy. We do a call out to all our members to encourage their participation in this exhibit and it is thrilling to see the enthusiasm with so many entries,” said Sarah Windsor, RVAS executive director. Unlike traditional exhibits at RVAC, Christmas Shop patrons take their goodies away with them on the spot, so make sure to get there early to not miss out on the amazing creations. 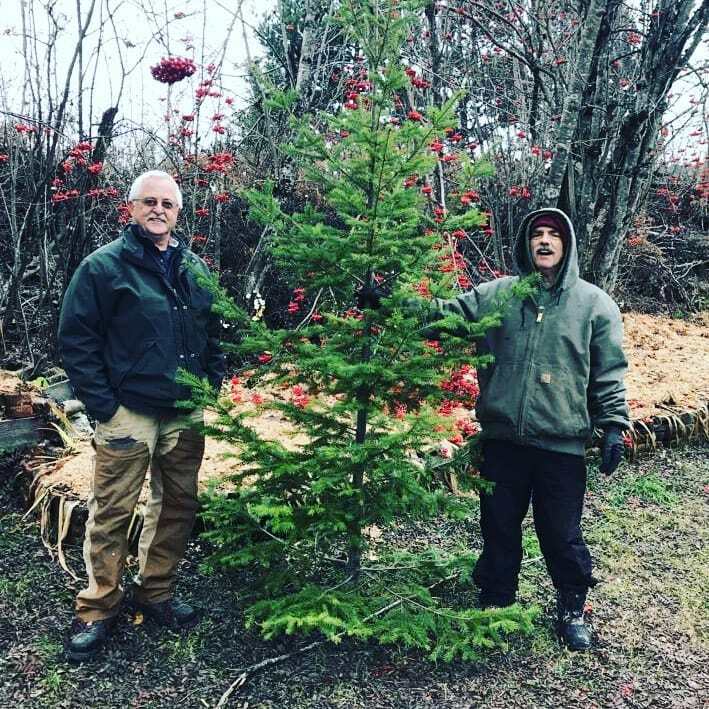 Revelstoke Visual Art Society board director/woodshop guru/building maintenance hero Ken Talbot (left) and his helper Chuck Ferguson have once again created up-cycled mini wood reindeer to help raise funds for the Community Connections Food Bank. Photo: RVAC. An annual tradition for the Christmas Shop is the creation of mini wood reindeer by Revelstoke Visual Arts Society member Ken Talbot and his helper Chuck Ferguson. 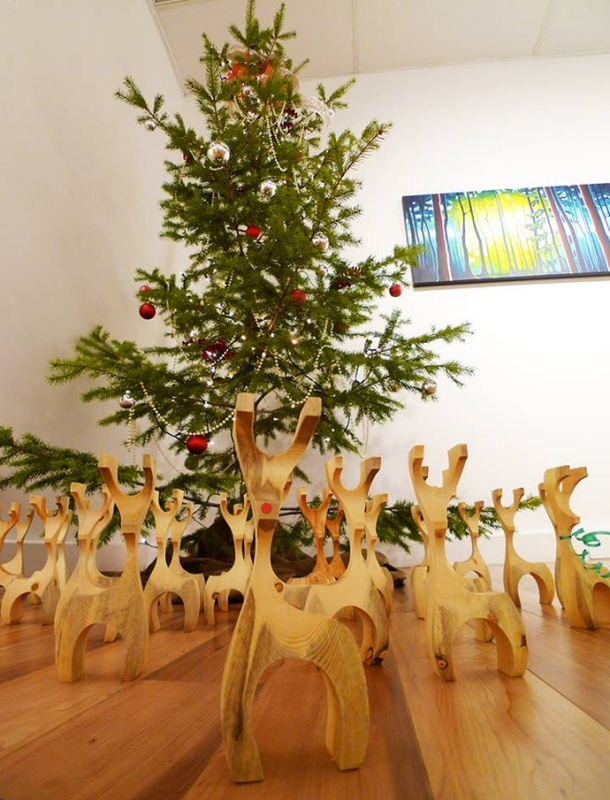 The cute little reindeer are up-cycled from various wood ends and are $10 each with all proceeds going to the Community Connections Food Bank. In addition, RVAC will also have a food drive hamper at the entrance to the exhibit. The centre is asking visitors to bring a dry or canned-good donation along with your holiday cheer. The annual Christmas Shop kicks off at the Revelstoke Visual Arts Centre this Friday, Nov. 30 from 6p.m.–9p.m. The Visual Arts Centre is located at 320 Wilson Street.